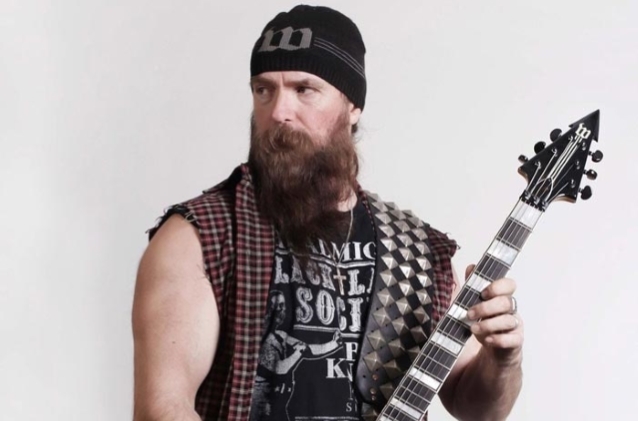 Zakk Wylde believes that most of heavy metal’s legendary bands will eventually be inducted into the Rock And Roll Hall Of Fame. Even though artists are eligible for the Rock And Roll Hall Of Fame 25 years after the release of their first album or single, iconic hard rock and metal groups like IRON MAIDEN, JUDAS PRIEST and MOTÖRHEAD have yet to be recognized by the institution, which inducted GUNS N’ ROSES in that band’s first year of eligibility. Having been eligible for induction since 1999, JUDAS PRIEST was on the ballot for this year’s class of the Rock And Roll Hall Of Fame, but ultimately didn’t clinch the nomination. “But the Rock And Roll Hall Of Fame is awesome,” he continued. “You celebrate all those bands. You can’t put everyone in in one year because there’s no reason to have another party the next year.